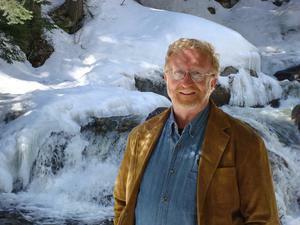 Thomas S. Curren is the volunteer board chair of Folk New England. As a high school student, he became devoted to the music of the Boston-Cambridge folk revival, attended dozens of performances at coffeehouses, concerts, and festivals, and studied guitar under Ed Freeman. After employment by Dartmouth College, he became chief development officer of Spaulding Youth Center, the Crotched Mountain Foundation, and the New Hampton School, and later executive director of the Lakes Region Conservation Trust. He recently retired after eight years as a project director for the Pew Charitable Trusts, where he administered a challenge grant program that resulted in the funded protection of more than 800,000 acres of land throughout the northeast. Tom is a farmer, historian, and consultant; he lives with his wife, folklorist Kathy Neustadt, in Danbury New Hampshire, where he serves as town moderator. In addition to his volunteer service for Folk New England, Tom is a trustee of Old Sturbridge Village in Massachusetts, where he is an active member of the collections and development committees.